The Noise - St Andrew's Church - October 2018 from standrews on Vimeo. The Noise is about showing God’s love practically and generously to our community. We do this through holding a fun day for our community in the church and by going out into the community where we lend a helping hand in practical ways such as gardening and decorating to those who are struggling and have been referred to us! We believe God wants us to be a transforming presence in our community and The Noise is one way we do this. 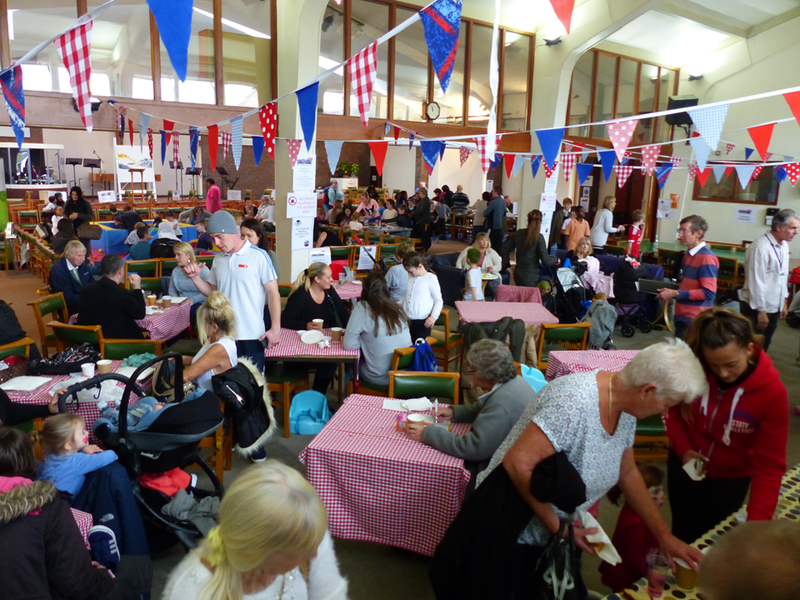 We make a Noise by going to people’s homes and helping with gardening, decorating and DIY and by holding a HUGE fun day at the church where people can come and take part in activities, have lunch and sit and chat with someone. It is a day of building friendships across the community. Teams go into our community to take part in projects such as redecorating living rooms, and transforming overgrown gardens into safe, fun spaces for families to play and spend time together. Back at the Church local people take part in free activities including face painting, games, craft, family portraits and a bouncy castle. There is an all day café where many people meet their neighbours for the first time! Practical life skills sessions are offered including cooking demonstrations.